With the use of CCTV cameras on the rise across the UK, there are many times throughout your day-to-day life you might not realise that you’re being watched. In 2011, there was one CCTV camera for every 32 UK citizens. By 2016, this number had risen to one CCTV camera for every 11 citizens, making the UK the leading country in the world for surveillance of its own citizens. While it’s common to see CCTV cameras on virtually every high street, there are many more places where you’re being monitored 24/7. While there has been an ongoing debate about the line between using surveillance to prevent crime and terrorism, and its intrusion into our privacy, there is no doubt that CCTV surveillance will continue part of our life. If you live in an urban area, you most likely have spent some time strolling around, biking or even relaxing with friends in a park. Maybe, you’ve felt like you’re being watched. Many UK city parks now have a series of CCTV cameras installed to surreptitiously monitor park visitors. From the Crystal Palace Park in South London to the iconic Victoria Park in East London and the ancient Holyrood Park in Edinburgh, cameras are silently watching you. 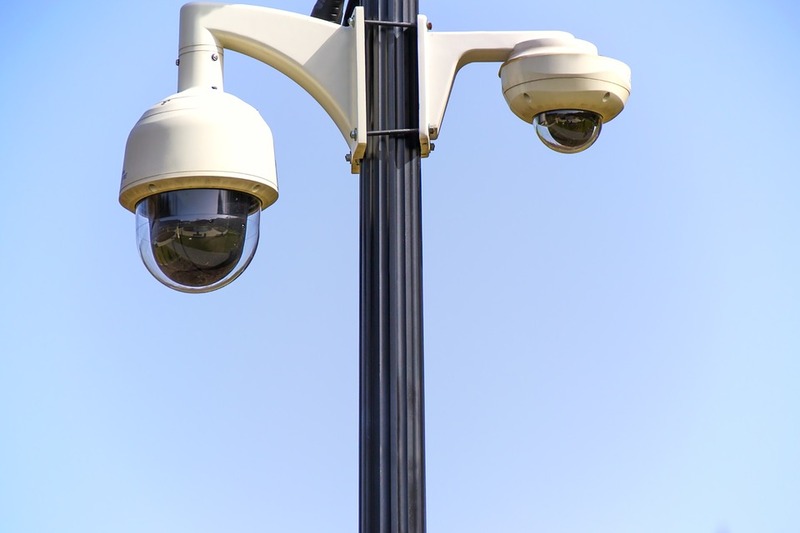 While it’s no fun being watched all the time, CCTV cameras in parks provide both residents and tourists with protection and reassure them that there are people looking out for their safety and property. The cameras are no doubt a significant deterrent to crime and help authorities fight vandalism and issues like graffiti as well as criminal investigations. CCTV cameras are not just watching you in the main streets, but even on streets around your neighbourhood, that corner coffee shop you visit, near your library and even on your way to the parking lot. If you’re keen enough, you’ll see a surveillance camera installed on the exterior of most buildings, aimed at the sidewalk on which you pass by almost every day. We frequently see CCTV cameras at traffic lights and parking lots or main streets, but have no idea that there are eyes watching over them constantly. With cameras in the UK capturing each person a whopping 300 times a day on average, you can count street surveillance in or near public places a huge contributor to those numbers. You may not be aware of it, but your neighbourhood is most likely one of the most monitored areas. And the government is not entirely responsible. More homeowners are installing cameras on off-street windows, backyards and front yards to curb burglary and improve security. In a 2017 survey conducted by The Office of National Statistics, around two in every 100 households had been victims of residential burglary. While cases of burglary have mainly fallen year on year, but slightly increased in 2017, more and more households are installing on-street and off-street cameras to improve security. Most burglars enter homes by breaking a rear window. Just like in major streets in the city, your neighbourhood is another place you’ll likely be on camera in 2018. Who’s watching? CCTV cameras keeping an eye on the street below. While street-level CCTV cameras have been around for a long time, more are making their way into clubs and pubs. With urban nightlife throughout the UK thriving, we can expect nightlife to be under more surveillance as authorities and business owners running entertainment joints embrace the need for ratcheting up monitoring at night. Every time you go shopping or even at petrol stations, you’re being watched. Most businesses, small or large, have CCTV cameras installed at their customer transaction points. These include kiosks, cash registers, next to entrances and exits and other places. You can expect that every time you make a payment anywhere in a retail store, grocery store or any other transaction point, you’re being watched. CCTV surveillance is already an established part of the education world. 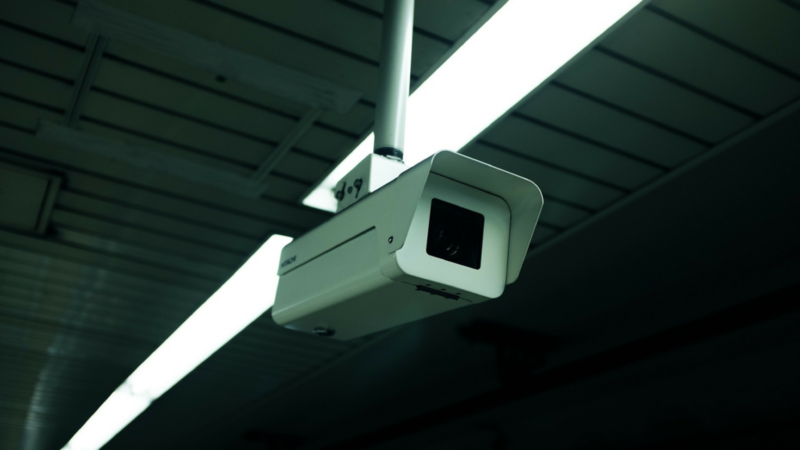 As surveillance technology develops, we can expect to see more usage in schools and colleges. While there is a balanced use of CCTV cameras in schools across the UK, expect to be monitored more, even in teaching areas and classrooms. Look for them most in common areas like libraries and playing grounds. From that grocery store you visit every day to the local supermarket and even your next door neighbour, more people and businesses are installing CCTV cameras on their front doors or entrance. Every door you open, especially in urban, modern cities is bound to have a surveillance camera overhead watching you. 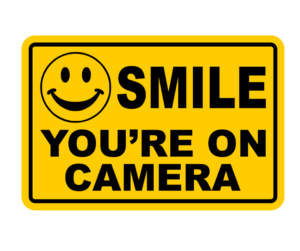 Whether you use public buses, trains or even fly frequently, you can expect to always be on camera at all transit points in the UK. CCTV cameras have been commonplace in public transport and airports across the UK, but improvements are being made to improve surveillance at the points of pickup and drop off along transit routes both inside and outside major cities. Transit points that are usually busy are particularly targeted for constant surveillance. There’s No Avoiding CCTV Cameras! The next time you’re walking to your favourite coffee shop or around the neighbourhood, feeding the ducks in the park, entering a store or exiting your parking lot, you should know that your every action and movement will be recorded. CCTV cameras are virtually almost everywhere around us, but most people are not even aware that they’re being watched. 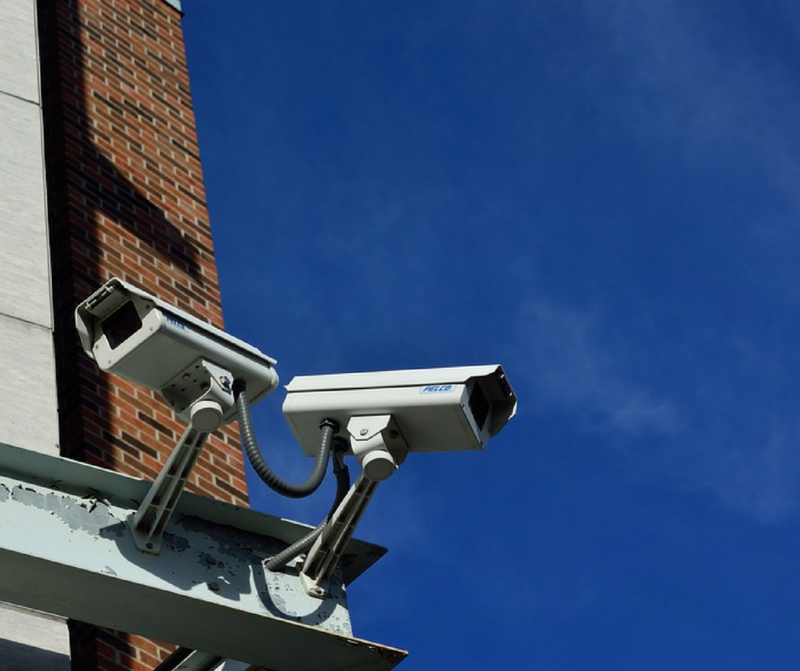 Although most of these cameras are installed to deter crime, protect property and ensure the public’s safety, it’s good to know where CCTV cameras are seeing your every move. Lance Waterly is a freelance writer who spent nearly twenty years in the T&M industry. He now enjoys writing about his experiences and giving advice to businesses including CCTV Security Pros, testing and developing new equipment. In his free time, he takes his grandkids on long walks through their neighbourhood. With the use of CCTV cameras on the rise across the UK, there are many times throughout your day-to-day life you might not realise that you’re being watched. 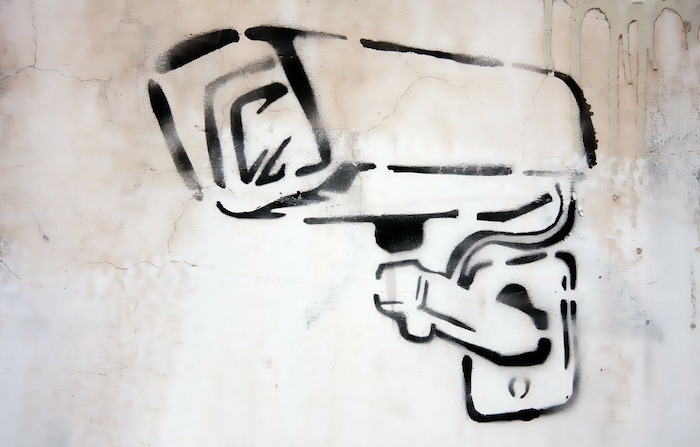 In 2011, there was one CCTV camera for every 32 UK citizens. By 2016, this number had risen to one CCTV camera for every 11 citizens, making the UK the leading country in the world for surveillance of its own citizens. We take a look at the most likely places you will be on CCTV this year.